I'm a few days late on this but I realized the other day that I have been a member of RFGen for six years now. I signed up 5th of July 2004. I was the 45th member to join the site and to my knowledge one of the first people who was not grandfathered in from VGB. Worked at 8 different jobs all of them overlapping. and then 2k miles back. When I joined here I had around 100 games. I peaked somewhere in the 1200-1300 range. I have slowly dropped lower and lower ever since. Gained a few thousand members. Had me jump back and forth from staff several times. Had multiple staff members come and go. All for various reasons. All of them beneficial to the site either in obvious or more behind the scenes ways. Many things have changed in these last six years. But RFGeneration has been my constant. I would like to thank the great members of this community past and present as well as the staff and various administrators who have not only kept the website up and running through all their contributions. Be it financial, database submissions/approvals, posting, blogging, etc. All of you have made this place my internet home for the last six years and hopefully many more to come. I would like to note I flipped through some of my older posts. Anyone who has been on the site for a long time should do so. It really makes you realize how much you have changed. When i joined i was IZRET101. 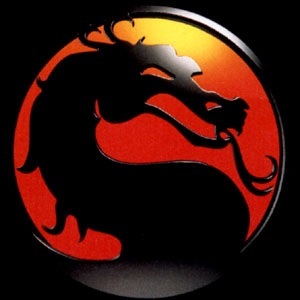 Another thing that has stayed the same is my Scorpion avatar. I do make it festive for the holidays though... when i remember. A lot happens in 6 years! Interesting read. I envy your long term membership here!! I remember when you joined. You were but a wee lad. Hard to believe it's been six years. Sure to be many more to come. I've been registered for 4 years, but only active on the forums for 2. Even in that time, it's been crazy to see how the community has shaped up. I registered shortly after my son was born. 6 years ago I was still using IGN for my collection and GameFAQs for the forums. Sooooooooo glad I made the switch. I remember when Anthony was a young'un. If you told me he would be an editor back then... I would have laughed. Thank God he is though! I got lucky. I was searching for something about RF Switches actually and came across this site. At like 2am.... funny how things work out. I was still using IGN and at least 2 other sites when i joined here. The poor quality control and not being credited or even thanked for helping sites like IGN fix errors in their database is what made me never look back. Going back and looking at how terrible i was*(i guess i still am) on the boards i can't believe i made it to staff with the blessings of two founders and only with parental OK from the third..
*I really think i was almost on par with Ty. No offense but you were pretty bad when you first got here. At least you've made bounding improvements. I like this place as my constant too. Other sites have come and gone, but since I joined I've always been a fan. Probably the most civil and respectful forum I've ever been a part of. I remember when I first joined, there were a lot of members that I saw posting a lot and generally active, and you were definitely one of them Anthony. Only a handful of them are still as active as you are. Congrats on not just being here for so long, but staying active in the site and the hobby in general. I've been here just under 4 years, and I really can't imagine what it would be like if I never found RF Generation, its become just a huge part of me now. When I first started collecting, I started out at Nintendo's NSiders forums, from there, I learned about DP, and from there I learned about RFGen. For the first couple years, I visited those sites in that order daily. But then the NSider forums were taken down, and DP became my primary forum, but then I just got tired of the atmosphere there and realized how much better it was at RFGen. So I've been coming here exclusively for a year or two now. Now, anytime I go online, the first thing I do is go to RFGen, even if its just for a couple minutes. Through the years, I've really enjoyed and appreciated the site more and more for what it is. And its ridiculous if I think about how my collection has grown since I started here. I went from a few hundred games in one corner of a room to a couple thousand games taking up an entire room. I never imagined it would grow so rapidly. And I really think it's because of the encouragement I've received here, without the encouragement, I most likely would have lost interest a long time ago. I'm pretty sure I found this site while searching for stuff about the Virtual Boy. Since then, my collection exploded up to about 1200 things in the database. Thanks for turning me into a collector RFG. @Gamer4Lyfe: What a coinkydink: Come November 16th, it will have been five years since I joined this wonderful land of strange and fascinating folks.